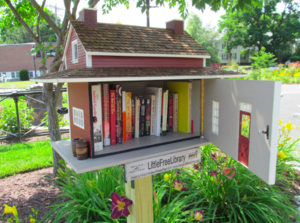 A group of 10th graders at Village Tech have come up with a challenge to create “BookHouses” to place around the Village Tech campus. The students are requesting book donations of any sort from parents and staff alike. The students will use the books to create a collection to use in the BookHouses for students to “Take a book & Leave a book”. All donations can be dropped off in the front office or taken directly to Mr. Fulton’s classroom in room 201.